It’s officially Halloween season, which means it’s time to start planning those spooky and fun Halloween parties! 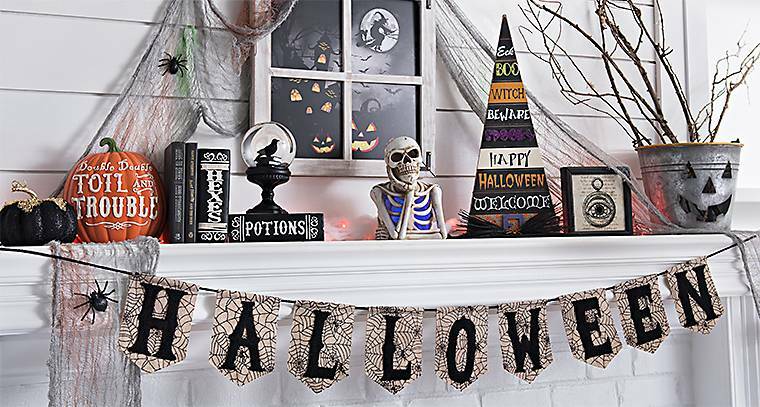 Enjoy these Halloween party decor ideas straight from Amazon! These spooky lights from Amazon are the perfect decoration for a Halloween party! They add a fun, spooky vibe to any indoor or outdoor setting. These spider clings are a perfect subtle, spooky touch. All you have to do is stick them on the bathroom mirror or even a window to add a little bit of spook to your festivities. They’re only $5.59 from Amazon! These cute and festive lights are the perfect addition to your party! Buy for only $12.99 on Amazon! Alright, this one might seem a little over the top, but think about how much fun this is! Wouldn’t you want to be at a Halloween party with colorful spooky lights and a FOG MACHINE?! Only $36.99 from Amazon! It’s not a Halloween party without festive Halloween banners, right? Get these for your spooky festivities for $8.99 from Amazon! It’s truly not Halloween without fake spider webs. Spread these out indoors and outdoors for extra Halloween fun! Only $4.49 per bag on Amazon!